Earlier today, our buds over at Chrome Unboxed spotted a new progressive web app by Google called Chrome Canvas. It's a very simple sketching/doodling app that works best on devices like Chromebooks with stylus-based input, but it will also run on your desktop or phone. The new app is showing up as an installed app on some Chromebooks running Dev and Canary channels, but you can pull it down manually on other devices right now. 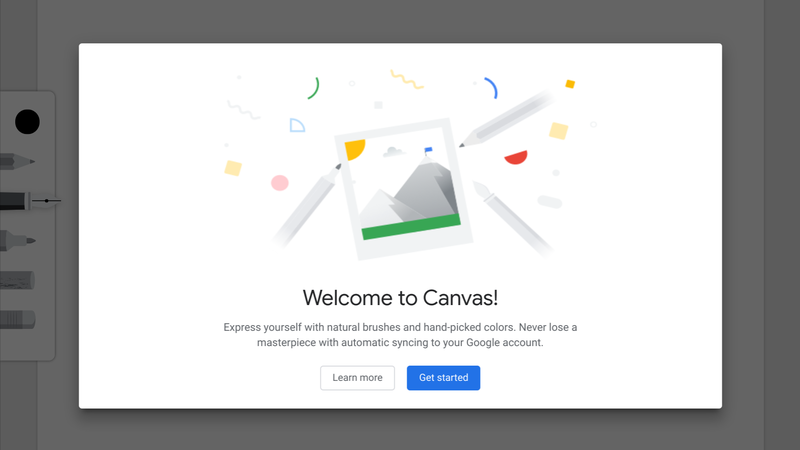 In some places, Google calls the product "Canvas," while in others it calls it "Chrome Canvas." For consistency, we're sticking to the latter, but it's a bit derpy that it isn't the same everywhere. So far as we can tell, Chrome Canvas is new-ish, since it's only just starting to roll out to those Chromebooks, but it's possible Google has held the new web app up its sleeve for longer; we've never known of or tried to visit the canvas.apps.chrome site before today. When you visit the site from a browser for the first time, you'll get a quick "Welcome to Canvas" screen — those with more than one Google account signed in on their browser will be quickly redirected to an account picker. Once you're logged in and past the splash screen, drawing is as easy as wiggling your stylus, mouse, or finger about on the page. You get five simple tools in Chrome Canvas, all visible in a drawer to the left: a pencil, pen, marker, chalk, and eraser. Tapping any tool a second time after selecting it gives you additional options for customizing size and opacity. 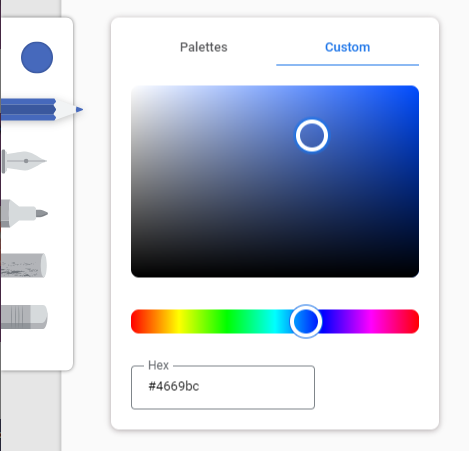 The round dot above the tools in the drawer is the color selector, which has both a pre-made palette and custom color selector with hex entry. Undo/redo buttons are at the top center, and a "home" icon takes you to a list of your saved drawings, as well as a dialog for creating a new one, or starting one on top of a preexisting image. 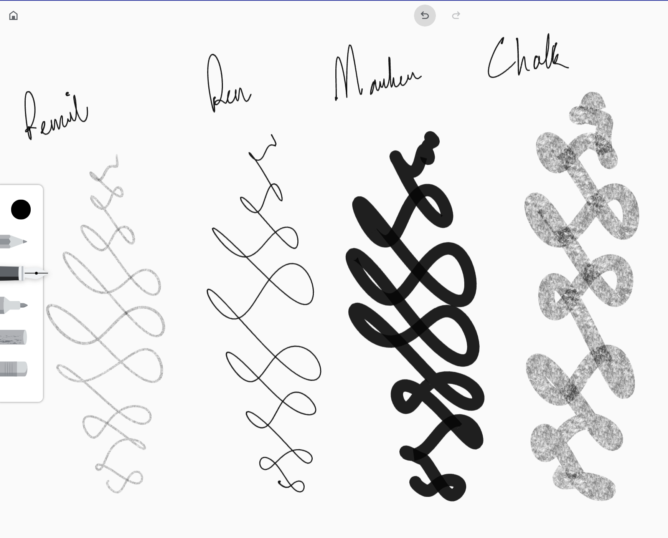 Pressure sensitivity is present but not especially noticeable in most of the tools outside chalk. Latency when scribbling on my Pixelbook with its accompanying pen in Chrome Canvas felt pretty low. 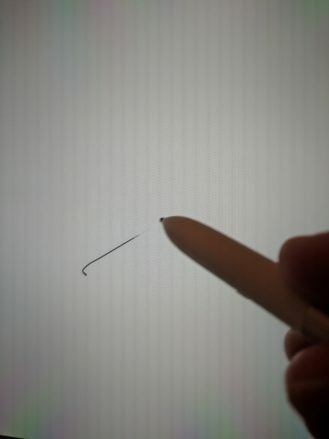 Although I can't claim a whole lot of experience when it comes to drawing on tablets, the trail feels very close to the tip of the stylus. Testing with a camera, drawn input was typically within a centimeter of the tip of the pen in quick movements, and far less most of the time. 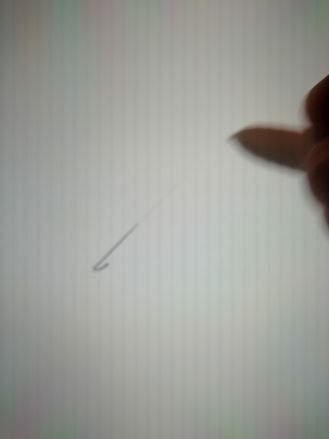 Scribbling as fast as I could, the camera picked up a greater distance of up to two or three centimeters, but in general, lag felt better than it does in most drawing/sketching apps for Android when run on a Chromebook. 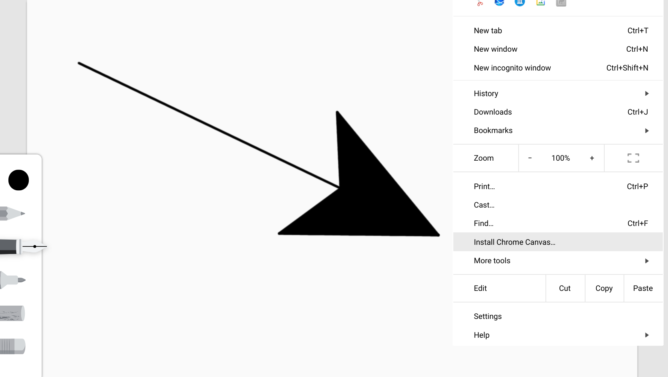 Chrome Unboxed speculates that the new Chrome Canvas app uses the new Google Ink WebAssembly software library for lower-latency input. 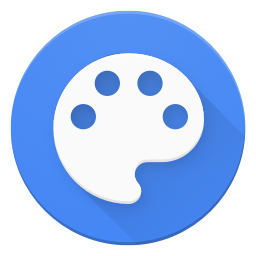 Images created in Chrome Canvas are stored remotely, so other devices connected to your account (desktop, phone or Chromebook) have access to the full history of your doodles. You can also export those images in PNG format via the three-dot menu to the top-right. Chrome Canvas icon on all platforms. If you access the web app from your phone, you'll also be prompted to add Chrome Canvas to your homescreen, where it will appear in your launcher. 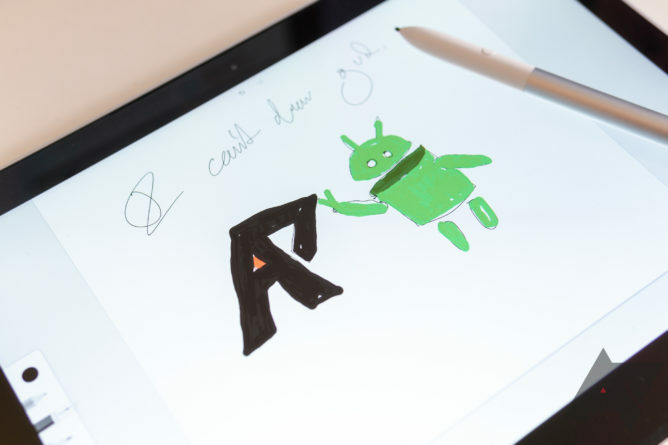 As it stands, Chrome Canvas is exceedingly simple, but it also works more fluidly than the majority of the Android-based doodling apps available to Chrome OS. And with it included by default in the Dev and Canary channels now, odds are it will eventually become part of the generic suite of pre-installed apps on your Chromebook in the future.